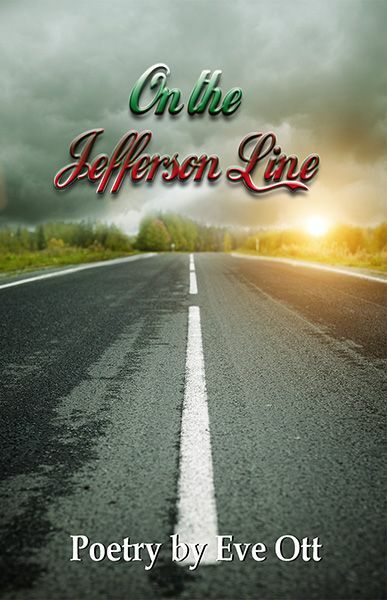 JOHNSTOWN, Pa. - Oct. 16, 2018 - PRLog -- Prolific Press Has Published On the Jefferson Line by Eve Ott via their wildly successful International Chapbook Series that is quickly taking the publishing world by storm! Many poets are aspiring to be published by Prolific Press because the press is quickly earning a reputation for publishing little-known writers alongside its more successful clients. According to Prolific Press, its only interest is in the quality of the work, not the pedigree of the writer. Despite the humble conventions of chapbook publishing in general, Prolific Press has stepped forward by including many of the elements found in more robust offerings, setting the bar high for competitors in a chapbook publishing market widely known for minimal investments. A bus trip in the fall of 2016 from Kansas City, Missouri to Minneapolis, Minnesota. It couldn't be more "American heartland" than that. But if you're thinking farmers in coveralls or sweet, little ladies balancing apple pies on their laps, think again. The passengers on this bus appear wearing hijabs, Nigerian geles, and little white bonnets. The trip includes musical boys with hair braided into elaborate crowns, men in broad-brimmed hats, and tall, slender Somalians. This bus resounds with a cacophony of languages, accents, and road noises. And in this mix, an aging woman, "an old white lady" by her own description. It is through her eyes that we get to know some individuals from this varied assortment: a huge man making a very, very long and delayed journey home; a shy, self-effacing, middle-aged woman who asks little more of life than to have a home free of roaches and a job with health insurance to carry her through to Medicare; a newcomer appalled by America's fast food eating habits. The speaker is alive, rooted in the strange bouncing moments and aware of the passing world, with its news and political antics. We can only hope that her journey, turned celebration of life, a life shared by a colorful assortment of brilliant and captivating souls, will not become the eulogy of her pivoted life. Eve Ott was an English major at the University of Connecticut, where she earned a degree in education from Milton College, Milton, Wisconsin, and did graduate work in creative writing at Emporia State University. She has had multiple poems and short stories published in the following journals: The Same, I-70 Review, Thorny, Locust, and Kansas City Voices in which one of her essays, A Faded Photo from the Seventies, placed third in a prose contest. Her work also has been included in the following anthologies: Whirlybird KC Anthology: "Accidental Angel;" 365 Days Volume 1: "Promises to Keep;" "Words Gone Wild;" "Turning Point;" "Now and Now and Now;" "Pennies and Poems." 365 Days Volume 2: "July 4th;" "When the Curtain Opens;" "When the New Year Has Come." Gimme Your Lunch Money: "Once Upon a Time;" "My Bully;" "Pedal Harder," and in the Kansas Time and Place Anthology: "The House with the Mansard Roof." Her book Album from the Silent Generation was published in 2014 by Aldrich Press. Eve taught composition as an adjunct at Emporia State University and Butler County Community College, among other jobs. Now retired, she works enthusiastically as a member of the Riverfront Reading Series and The Writers Place Program Committees to give writers, both new and established, a voice in the literary community. "Hop aboard for a multicultural slice of American life on a bus while landscape '[rolls] endlessly past the window.' Eve Ott captures [the] character and the experience of traveling so well [that] you'll feel like you're there. This is a book you'll definitely want to read, perhaps while traveling." -Maryfrances Wagner; Co-editor of I-70 Review.